Today a new burger came to town! 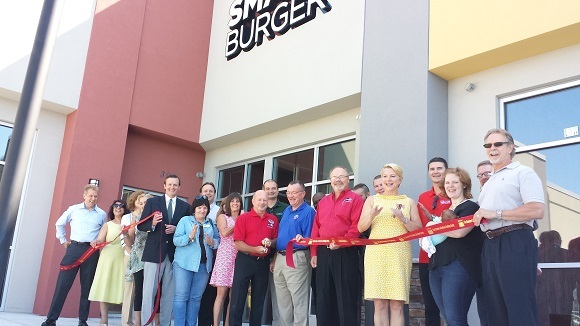 We held the Grand Opening Ribbon cutting ceremony at Smashburger. You can find them at 309 Clifton Park Center Road (located by Starbucks). A wide variety of choices, including a “create your own” hamburger or chicken sandwich. Stop in and say hi to Leo, Marc and their entire team.